Fans of sunless tanners know the tricks to perfecting a streak-free, long-lasting tan: Exfoliate before you apply, wash your hands with soap and water when you’re finished, and wait a few minutes before dressing so you don’t stain your clothing. But there’s one more element to self-tanning to consider: what kind of protection the formula is offering your skin. The latest crop of sunless wonders contain potent anti-aging ingredients and high SPF. According to board-certified cosmetic and general dermatologist Dr. Annie Chiu, these characteristics are important for a number of reasons. First, anti-aging ingredients — such as antioxidants, vitamins A, C, and E, and nourishing plant extracts — may help protect skin from the photoaging (a.k.a. premature aging) that occurs when it’s exposed to UV rays. Second, they can also be a good defense against the oxidative stressors that the DHA in sunless tanners could cause. Most bronzing formulas rely on DHA, dihydroxyacetone, a coloring agent as the active ingredient. However, it provides no sun protection whatsoever. “When you use a DHA self-tanner,” Chiu says, “it reacts with the amino acids in your skin and they turn brown. This can cause oxidative stress in the skin, because DHA generates free radicals, which attack cell structures and degrade collagen and elastin.” Chiu explains that after you apply sunless tanner and go out in the sun, the DHA may generate more free radicals, damaging your skin further. Even if the self-tanning formula you’re using doesn’t contain DHA, you’re not necessarily off the hook, warns Chiu. Erythrulose, another common self-tanning ingredient, may also increase the production of free radicals. But don’t let free radicals hold you back from a golden glow — today’s sunless tanner formulas include plenty of free radical-fighting ingredients. Below, you’ll find some of our favorites. Whichever one you use, Chiu says don’t forget to apply sunscreen over your bronzed skin. You should also try to eat a diet rich in antioxidants (you can find them in dark greens, berries, and sweet potatoes), and be religious about smoothing on antioxidant- and amino acid-infused serums one to two days after applying your self tanners to ensure your skin is extra protected. This Supergoop!® Healthy Glow Sunless Tan ($38) is water resistant for 80 minutes and includes vitamin E as well as aloe juice to help replenish skin’s moisture. (Chiu notes that the amino acids found in the aloe may help with sun damage). 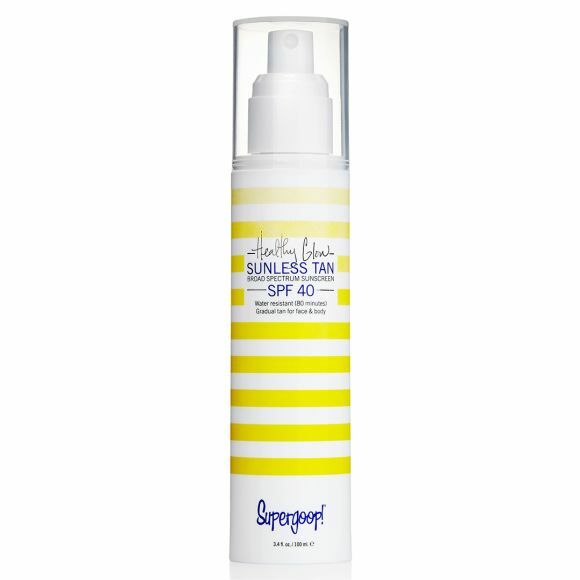 Spray this light, scent-free SPF 40 formula on and you’ll see a glow within two to four hours. If you’re not sure how much product to use, towelettes can help — as these self-tanner-infused wipes can ensure you’re using the ideal amount. Dr. Dennis Gross Skincare Alpha Beta® Glow Pads™ Gradual Glow ($38) contain many of Chiu’s go-to ingredients, including alpha and beta hydroxy acids to exfoliate; hyaluronic acid to hydrate; and vitamins A, C, and E for free radical defense. 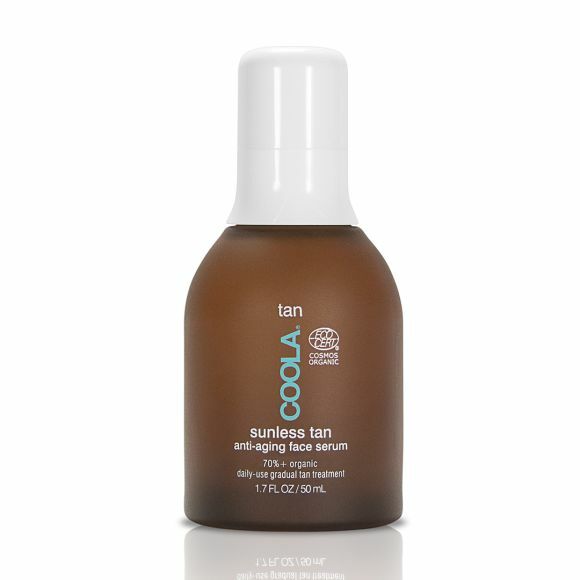 You can use Coola® Sunless Tanning Anti-Aging Face Serum ($54) two different ways: either dispense a small amount into your palm and spread evenly onto skin, or mix a few drops into your daily moisturizer and apply. It contains a nourishing blend of argan oil, vitamin C, hyaluronic acid and plant stem cell cultures to help hydrate and smooth as it bronzes. This odorless product goes on clear, dries fast (without staining!) and gives you a glow in four to six hours. 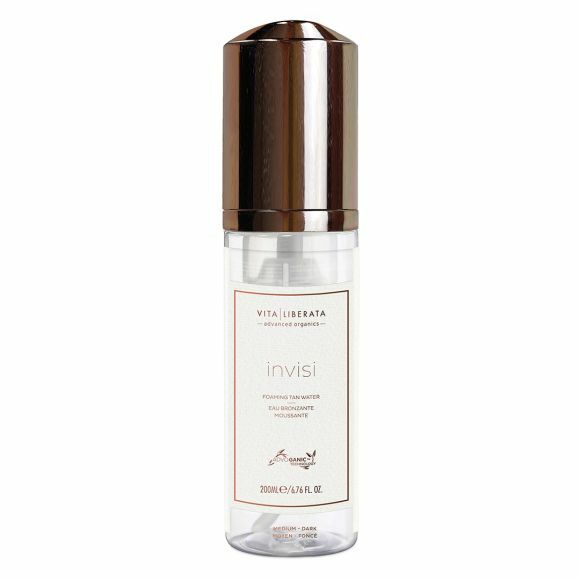 Vita Liberata Invisi Foaming Tan Water ($39) also includes ginkgo biloba (to protect against free radicals) and raspberry seed and pomegranate extracts, which contains anthocyanins (a class of compounds with antioxidant effects). Even better, it comes in three shades — Light/Medium, Medium/Dark, and Super Dark — so you can customize your depending on your skin tone. This overnight oil works while you sleep — which Chiu says can be helpful, because you aren’t stimulating the DHA in the sun. 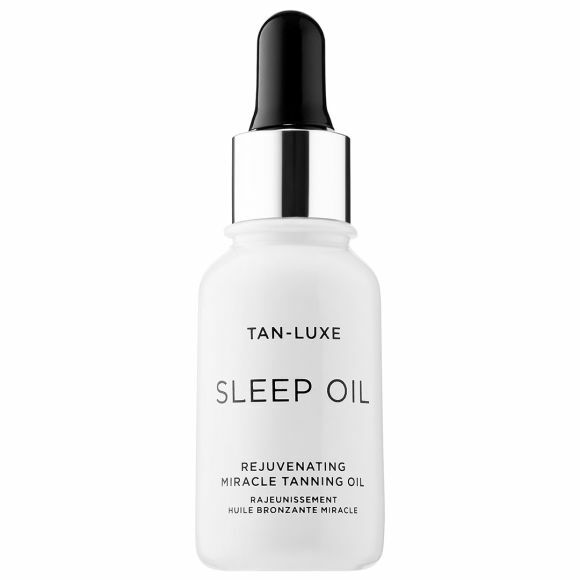 Just apply Tan-Luxe Sleep Oil Rejuvenating Miracle Tanning Oil ($49) before bed to let the blend of raspberry, kendi, argan, marula, jojoba, and argan oils rejuvenate your skin. You’ll wake up with a radiant glow.